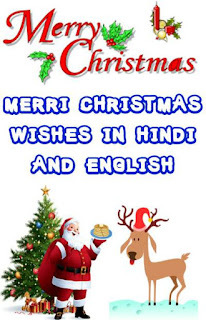 मेरी क्रिसमस की शुभकामनाए हिंदी और इंग्लिश में ! तोहफे खुशियों के दे जाएगा।"
क्रिसमस की हार्दिक शुभकामनाएं !! खुशबू फूल का साथ निभाता है जिस तरह। "
शुभकामनाएं करो हमारी स्वीकार। "
देखों स्वर्ग से कोई फरिश्ता आया हैं। "
क्रिसमस और नववर्ष की हार्दिक शुभकामनाएं !! 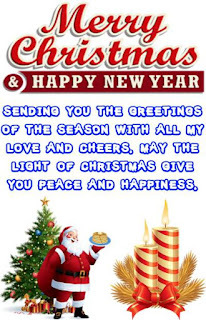 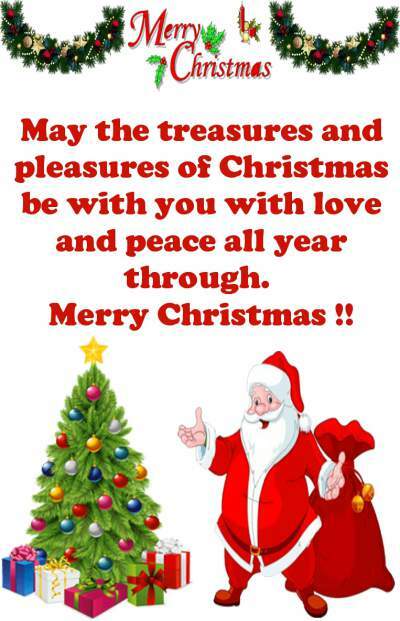 be with you with love and peace all year through !!" 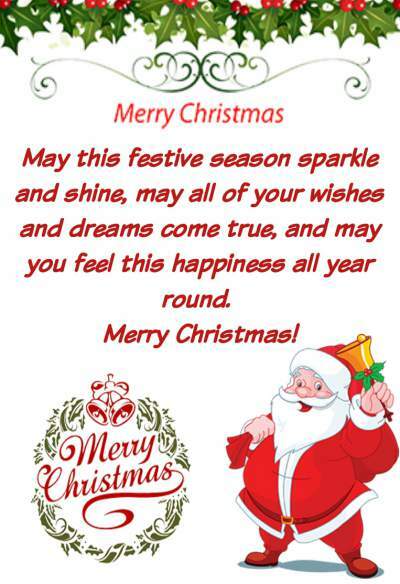 Merri Christmas and Happy New Year !! 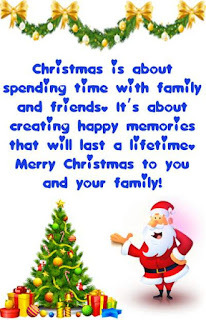 "Christmas is about spending time with family and friends. 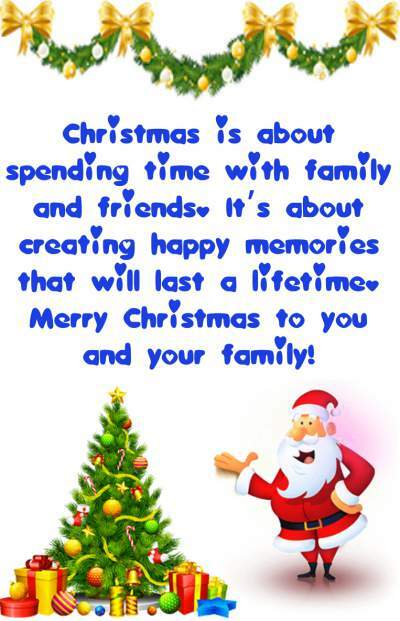 It is about creating happy memories that will last a lifetime." 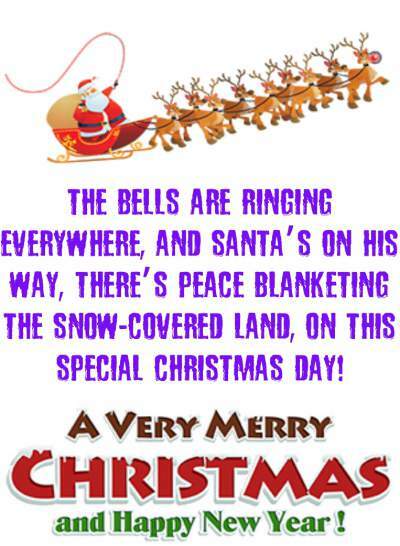 this Christmas and all throughout the year !" 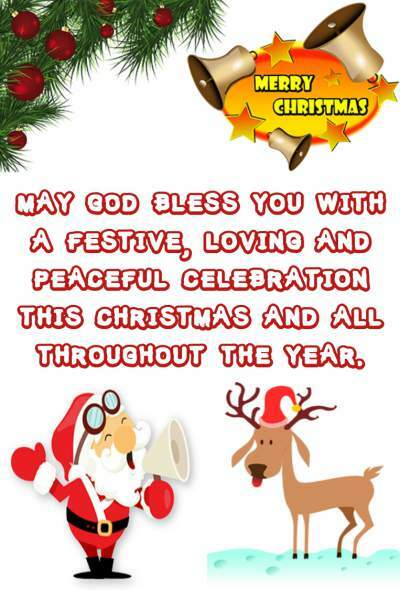 May the Light of Christmas give you Peace and Happiness." 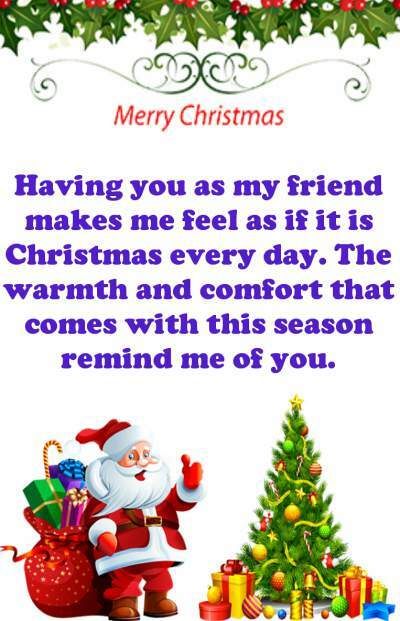 The warmth and comfort that comes with this season remind me of you." 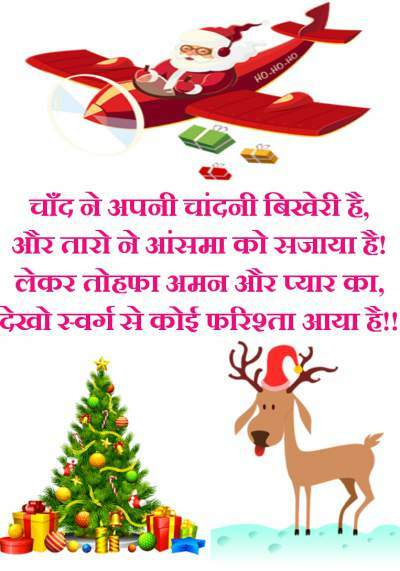 and Santa is on the way. 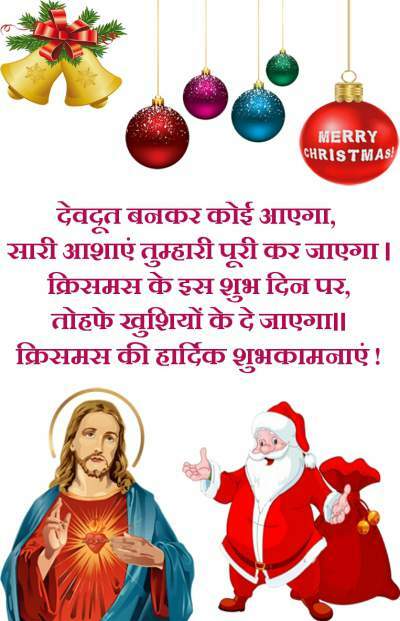 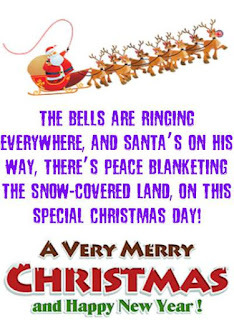 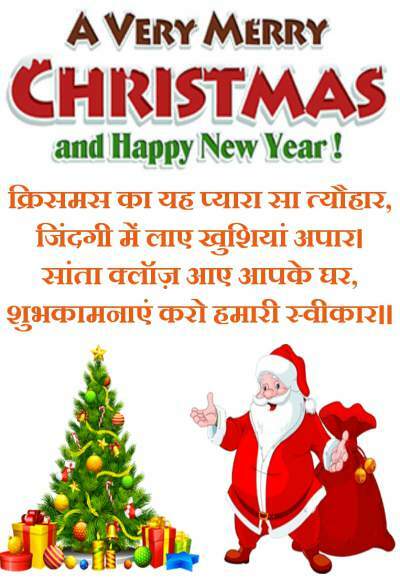 on this special Christmas day !!" 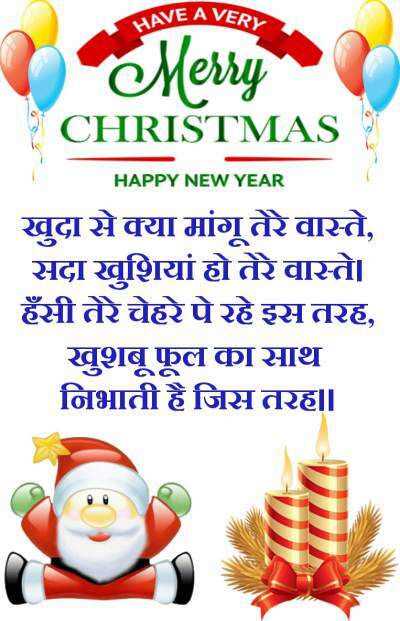 and may you feel this happiness all year around." 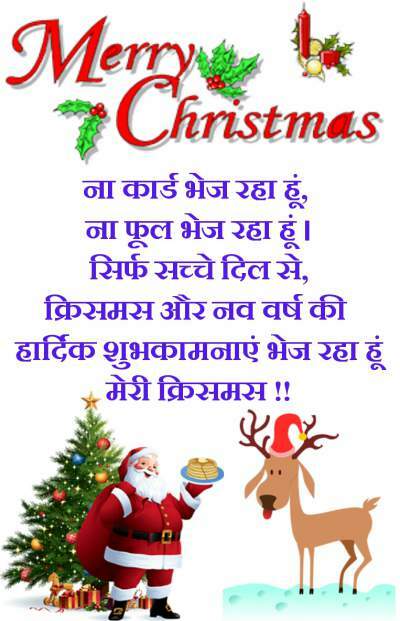 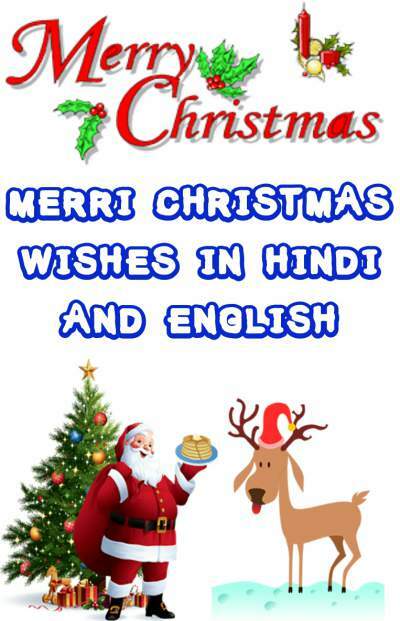 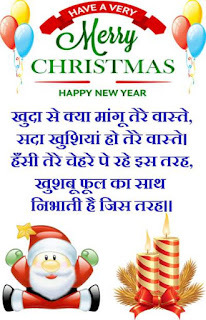 आशा है आप सभी को Merry Christmas Wishes, SMS, Shayari in Hindi and English पसंद आये होंगे और इन्हें आप Merry Christmas की शुभकामनाए देने के लिए Whatsapp और Facebook शेयर अवश्य करेंगे !